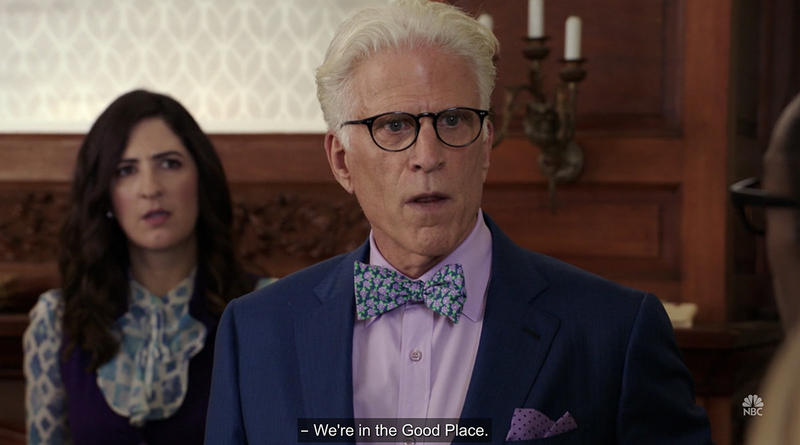 BuzzFeed spoke with the show’s creator, Mike Schur, and actress D’Arcy Carden (Janet) about this week’s episode of The Good Place, and here are all the juicy facts they spilled! 1. This episode took one year of planning to come to fruition. 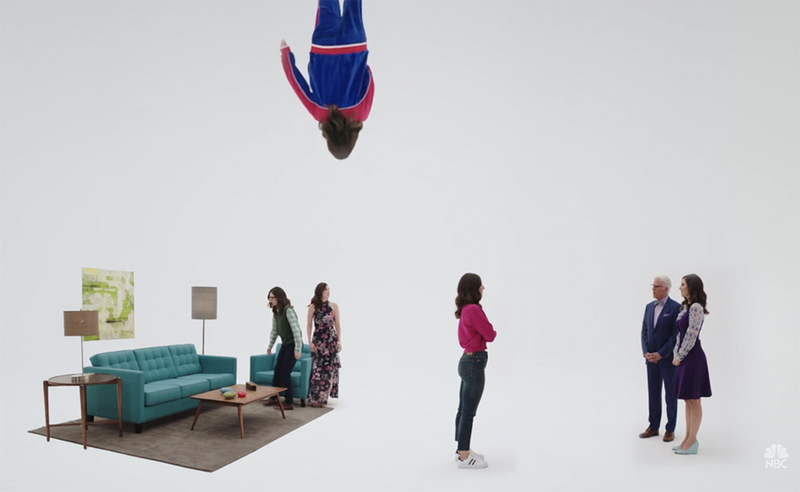 Michael Schur and company have had the idea since back in Season 2, but it wasn’t executed until now. 2. D’Arcy found it challenging to play Chidi, Eleanor, Jason, and Tahani because she didn’t want to be over the top. The entire cast filmed their scenes so D’Arcy could study their mannerisms in order to become them more accurately. 3. 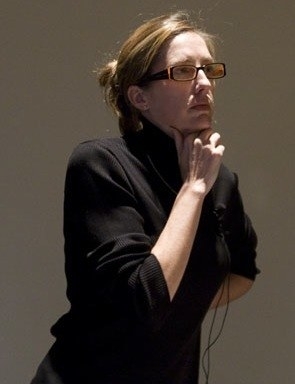 The multiple Janets were partially inspired by Orphan Black, a series that features a bunch of clones. 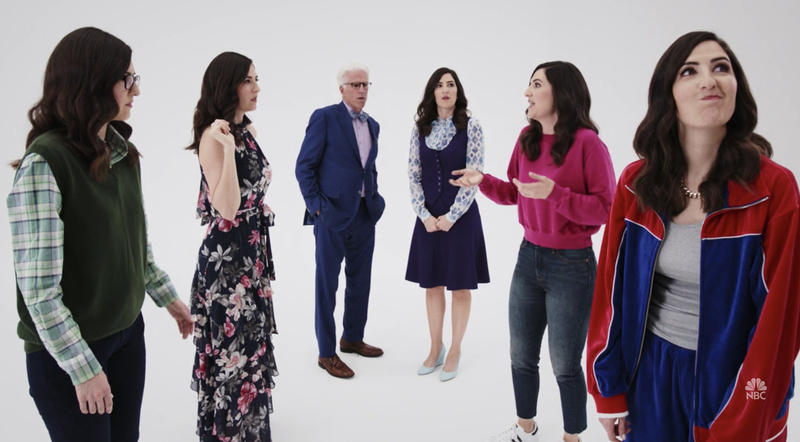 Ted Danson gave D’Arcy advice during different bits she had to do of Jason, Tahani, Eleanor, and Chidi. 5. 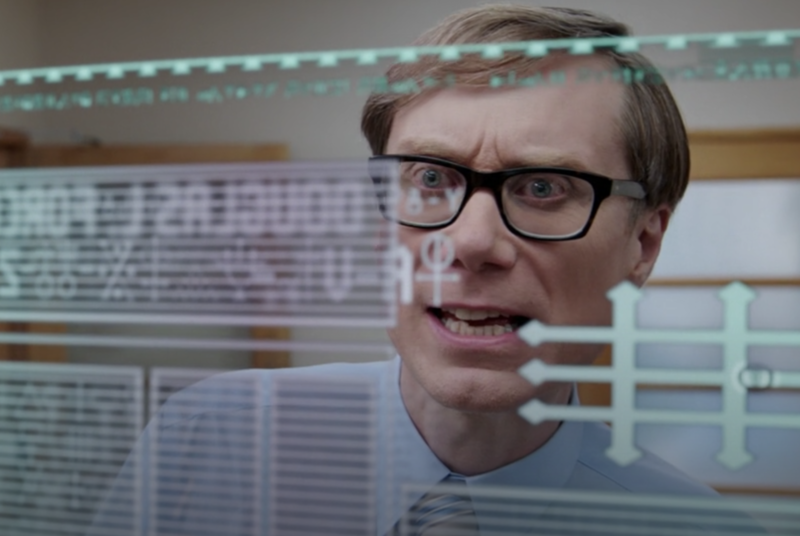 Mike Schur knew they wanted Stephen Merchant early on for the role of Neil in this episode. 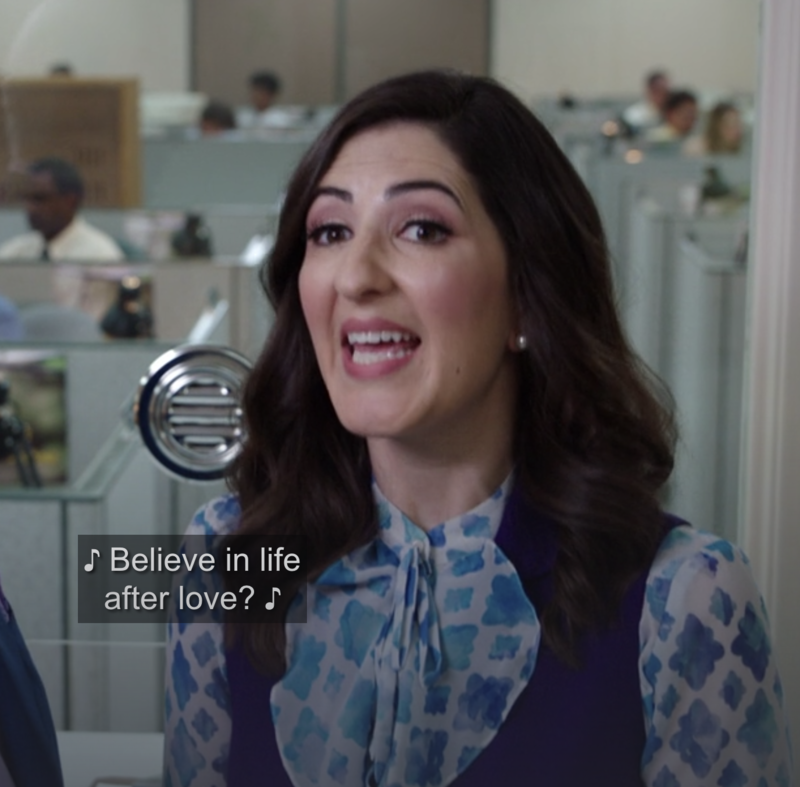 Schur spent 45 minutes explaining the role to Merchant on the phone and he was sold. 6. 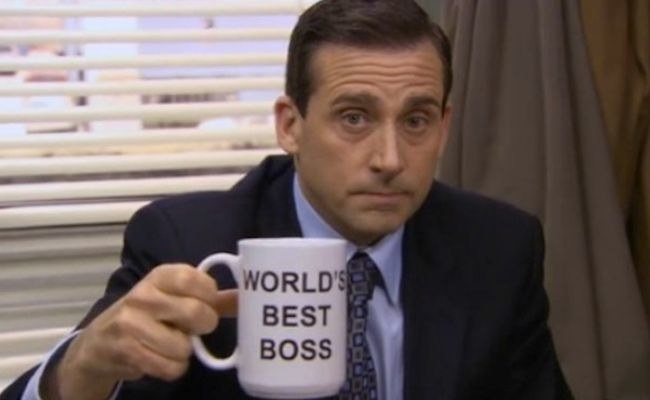 There’s a reference to Michael Scott’s “World’s Best Boss” mug from The Office. 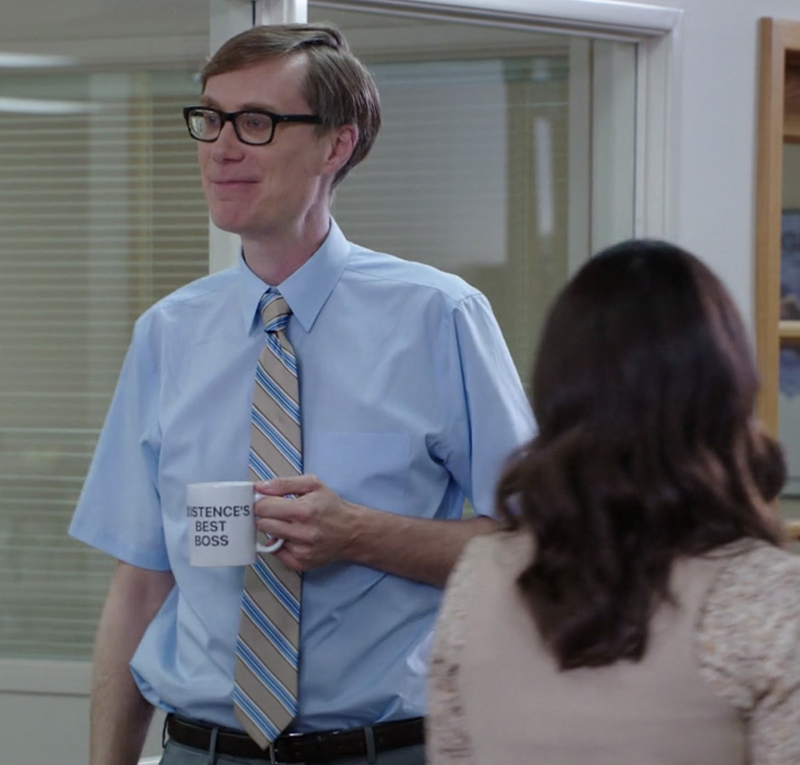 Schur said the way the mug was held when filming hid the text, so “Existence’s Best Boss” had to be added digitally. 7. 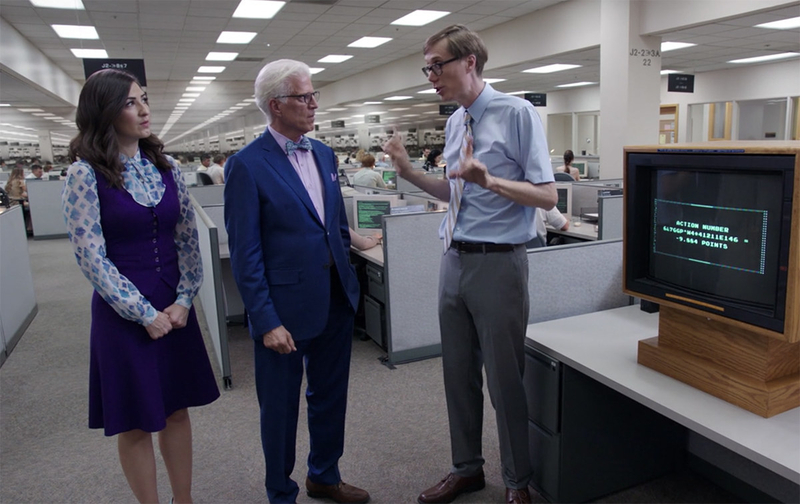 The accounting office that seemed to go on forever was filmed in what Michael Schur called “a ghost building” in Simi Valley. 8. D’Arcy also recorded the table read of the episode and listened to it over and over for a month to get into each character. “I lost my mind,” she said. Although D’Arcy said the episode was stressful to film, she also stated it was the best week of her life. 9. Mike said the show had to pay “around fifty grand” to use a brief snippet of “Believe” by Cher. 10. The cast wasn’t on set that much during the shooting of this episode but they were on call in case D’Arcy needed them. 11. 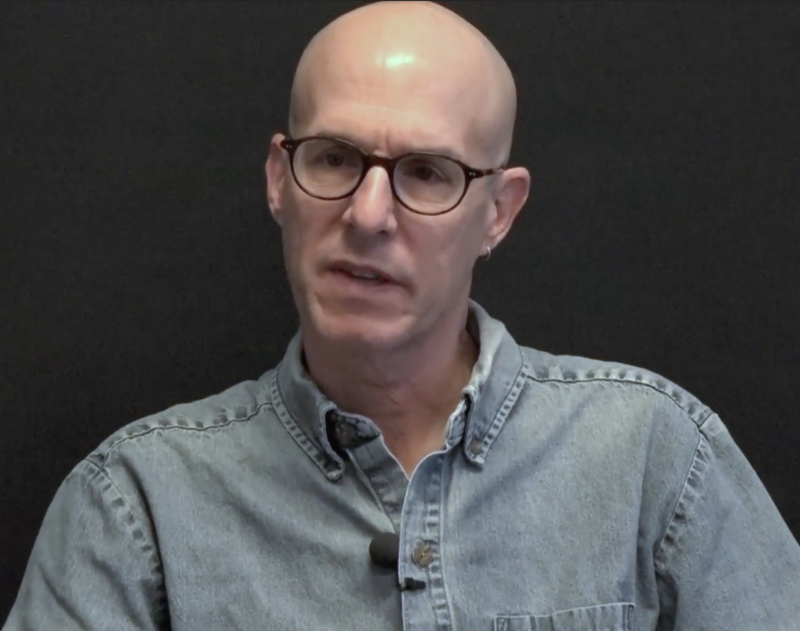 For this episode, and others, the show’s writers consult with two philosophy advisors (Todd May and Pamela Hieronymi), who try to break things down in a digestible way for the audience. One of the philosophy advisors would get an early draft of the episode and “grade it,” which means sending back small tweaks and changes. She had to kiss Kristen Bell and Kristen had to kiss Will Harper, but the challenging part with that was getting everything to match identically so it could come together in edits. 13. 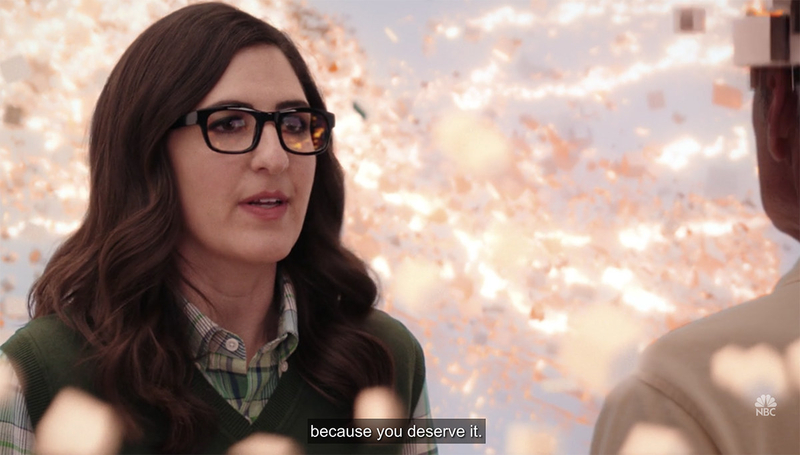 The Chidi/Janet/Eleanor speech was so heartfelt that D’Arcy teared up while performing it.